More than 15 million vehicles worldwide are fueled by CNG. This includes shuttle buses, school buses, taxis, delivery vans, construction trucks, paratransit vehicles and more. There are about 153,000 natural gas vehicles in the United States today. Many fleet managers choose to install on-site fuel infrastructure, eliminating trips to off-site stations. There are over a thousand CNG stations located in the U.S. Domestic natural gas supply is projected to handle over 100 years of demand. There are more than 2.5 million miles of pipeline that transport natural gas to more than 177 million Americans. 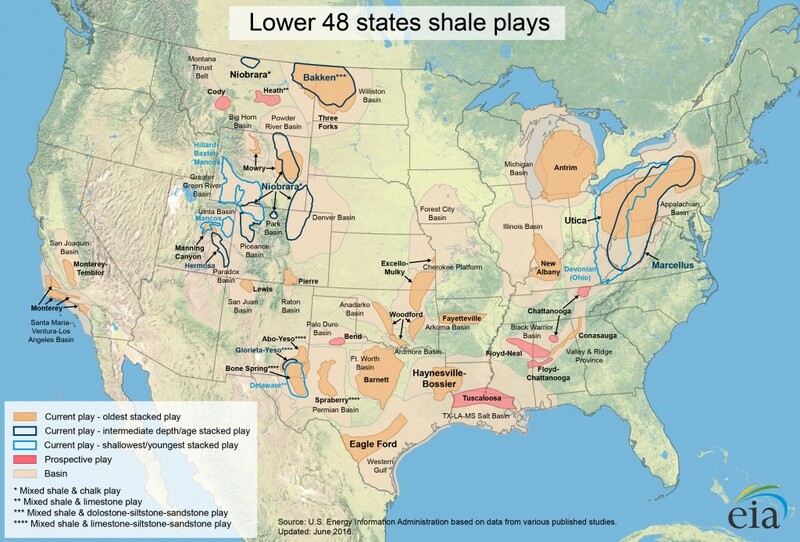 This map from the U.S. Energy Information Administration shows the shale gas and oil plays in the continental U.S. More information can be found here.